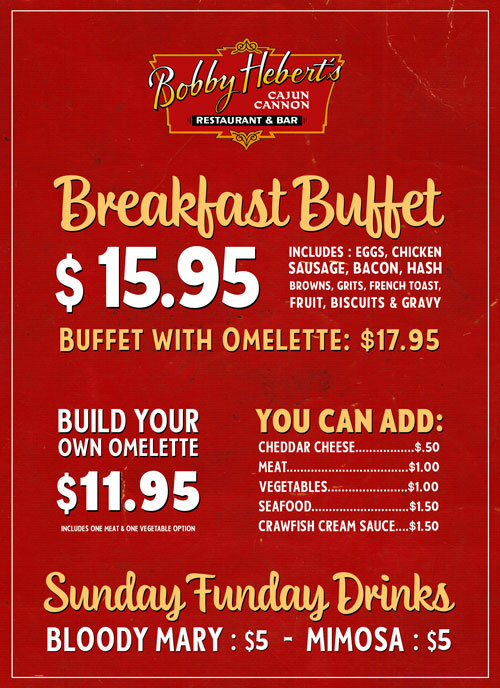 Feed your morning cravings with Bobby Hebert’s Cajun Cannon Breakfast Buffet. We serve a full breakfast buffet at one low affordable rate. Come join us Today! $12.95 all you can eat BUFFET BREAKFAST !